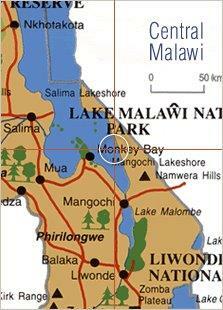 Chris Stapley (UK, WK 82-86) wants to swim across Lake Malawi, a distance of approximately 25 kilometers, on 20 -26th April 2019 in order to raise funds for Waterford Kamhlaba’s Community Service Projects. Chris began his swimming career in 1982 based at St Marks High School training in Mbabane, eSwatini. In 1986 he represented and swam for eSwatini at the Commonwealth Games, in Edinburgh Scotland. Over the subsequent 36years he has swam for eSwatini at competitions including World Masters Champs in Perth in 2010, and about 13 SA Masters champs collecting many medals in his age group. He has represented eSwatini as swim coach at the Junior All Africa games, Commonwealth Games , FINA world Champs and 2 Olympic Games. He had his first ‘open water’ experience at the FINA World Masters Champs in 2010 in Perth Australia swimming the 3 kilometer event. Since then he has completed many 3km, 5km and a few 10km races. In 2016 along with another swimmer he circumnavigated Luphohlo dam in eSwatini, a distance of about 11.8km. 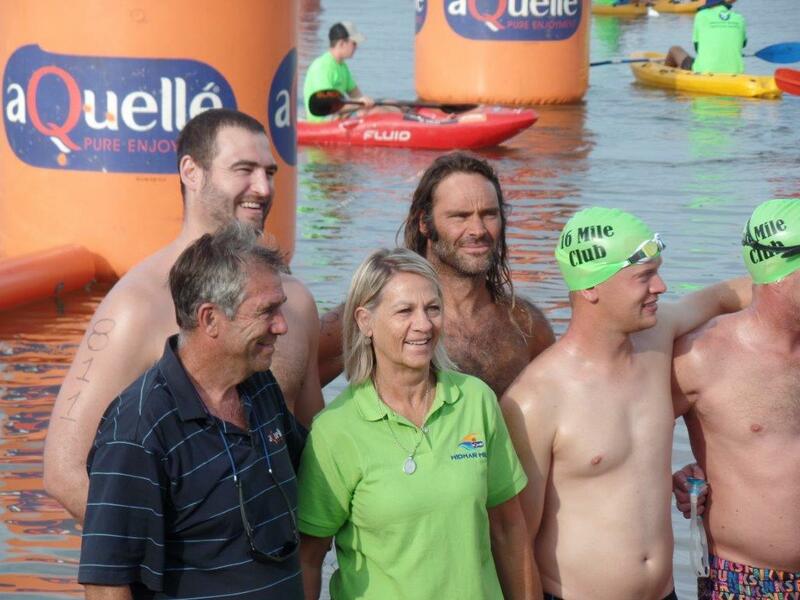 In both 2017,2018 ( and 2019 ) he was invited to join an elite group of 10 swimmers to take part in the ’16 mile’ club, which takes place at the same time as the Aquelle Midmar mile, the world biggest open water event held at Midmar Dam in South Africa. They cover 12km on the Saturday and then another 12km on the Sunday, all within a strict time limit. A part of the criteria to take part in the 16mile club is that each swimmer has to raise E20 000 for charity. In 2017 he swam for the ‘Sandra Lee Centre’, an orphan based organization in Mbabane, eSwatini raising about E32 000, and then in 2018 swimming for the ‘Shamba Trust’, again raising about E32, 000. 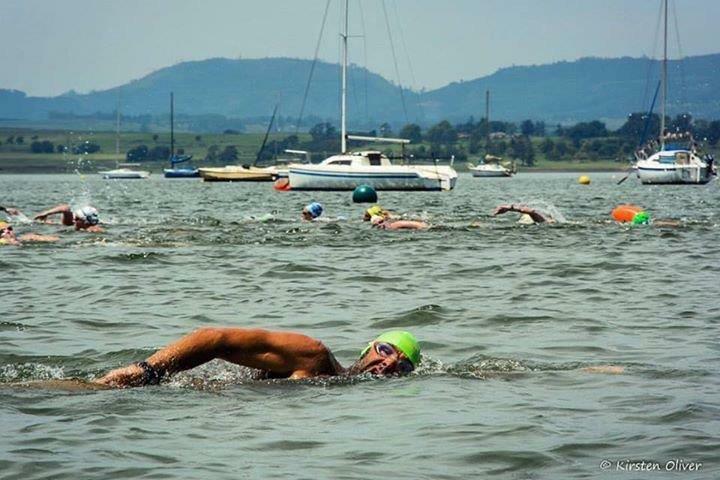 In 2019 he will be swimming for the ‘eSwatini Animal Welfare Society’. In both 2016 and 2017 he raised funds through a 10km swim for a young blind boy who is now in his third year at the St Joseph’s Mission in eSwatini. Chris has dedicated his 2019 Malawi swim to raising funds for Waterford Kamhlaba’s Community Service Projects. Chris says, “The school is involved with over 60 different community services. These projects have a profound effect on many lives and communities; a very worthy cause.” His goal is to raise E100 000. All pledges or contributions are to be done through clicking here. David Crush (SA, WK ʼ70 - ʼ74) is running a marathon-a-month in the hope of raising money for a Swati student to attend Waterford Kamhlaba UWCSA. At Waterford in the early to mid 1970s, we seemed to spend a lot of our time running – to class, to the tuckshop, to the kitchen for “spares” of peri-peri chicken, up Tom and/or Kelly when we fell out with a teacher or prefect. But I didn’t start running actual marathons until my 40s when I learned it was a great way to visit different cities and eat as much as you liked in all of them. Now, I have just turned 60 and I realised that my long-dreamed aim of trying to reach a total of 100 marathons was never going to happen unless I got out on the road much more regularly. 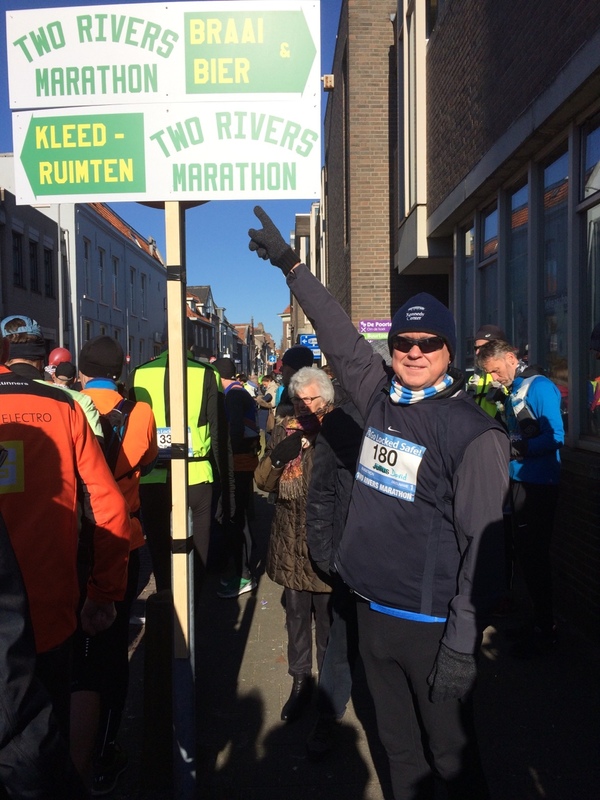 So I re-started in January with the Red Hill Marathon in Cape Town (hilly), the Two Rivers Marathon in the Netherlands in February (freezing), Two Oceans in Cape Town (long) in March and then decided to attempt a Marathon-a-Month until the end of this year. Then it was Vancouver (downhill) in Canada, then Leiden (flat) in the Netherlands over the next two months and in June the accurately named Bastad Marathon in Sweden (very hot and hilly) and after that the toughest so far which was Fort William near Ben Nevis in the Scottish Highlands (extremely hilly). That was seven down and I began to think (and you have a lot of time to think when running long distances) that maybe we could use this challenge as a way to help raise funds for WKFSA to sponsor a student from Swaziland (eSwatini) through the IB course at the school. The target for the scholarship is ZAR 200 000 for the two year International Baccalaureate programme (approx. £10 700 or $14 000 10/2018). David is hoping to reach the target by the end of the year. 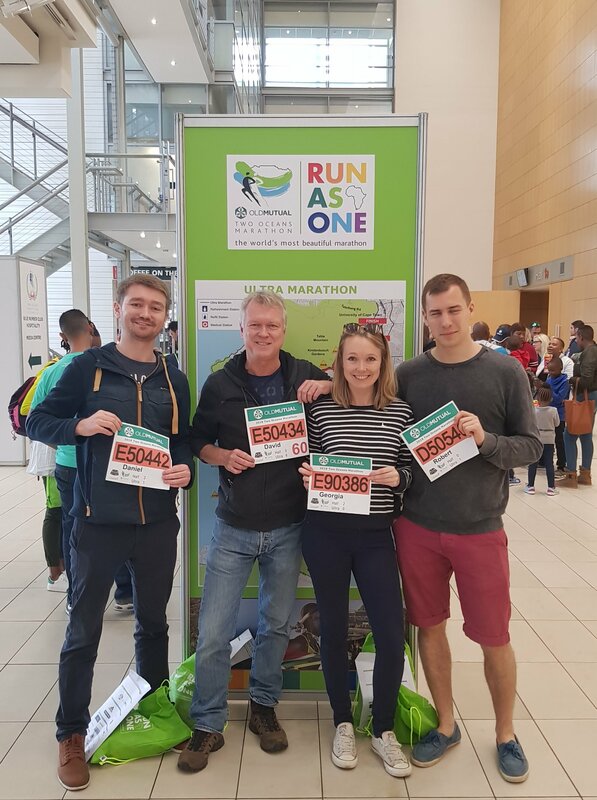 Additionally, David and a number of Waterford linked marathon runners are planning to run a team event, as the 12th and last marathon, in South Africa at the end of the year to join, support and, most of all, to celebrate. Help David and the WKFSA reach their goal and donate today! Since Fort William I have added Helsingborg in Sweden (fairly flat) and Hull in England (last weekend and getting chilly) to the list which brings me to nine and a glimpse of the finishing line in December. I did Victoria Marathon on Vancouver Island in the driving rain (no 10.) and survived.....two to go! November is St Helena Marathon in the middle Atlantic which last year only had one runner….so a top three placing beckons. And December is still a mystery. To read more about David’s experience running a marathon a month, you can read his blog posts here. Donors in the UK also benefit from Gift Aid when using this link to donate. You can donate to any of WK’s charity organisations, just reference David Crush with your gift. Good luck to David for his final 2 marathons! Help bring him across the final finish line and make your donation now. Two alumni have offered to give ZAR 10000 for every marathon David runs! That makes ZAR 20 000 so far! 70’S ALUMNI, MISS OUT ON A FEW MERITS? MAKE UP FOR THAT NOW! A Waterford graduate from the 1970’s is challenging all alumni from that decade to donate to the ongoing Ekukhuleni Hostel Refurbishment Campaign. This graduate, who wishes to remain anonymous, will match donations from all alumni from the 1970’s, up to ZAR 100 000. Having recently visited Ekukhuleni Hostel, the place definitely needs an upgrade. I encourage all my cohorts to contribute to making this dorm what we would all like it to be for the generations ahead. That is why I will match any donation by 70s alumni. If you donate less than ZAR 1000, your gift will be matched 100%. If you donate ZAR 1000 or more, your gift will be matched 200%. What do you need to do? Well, if you are a graduate from the 1970’s, visit any of our donation sites (based in the USA, UK, and SA) and donate your ZAR 1000! 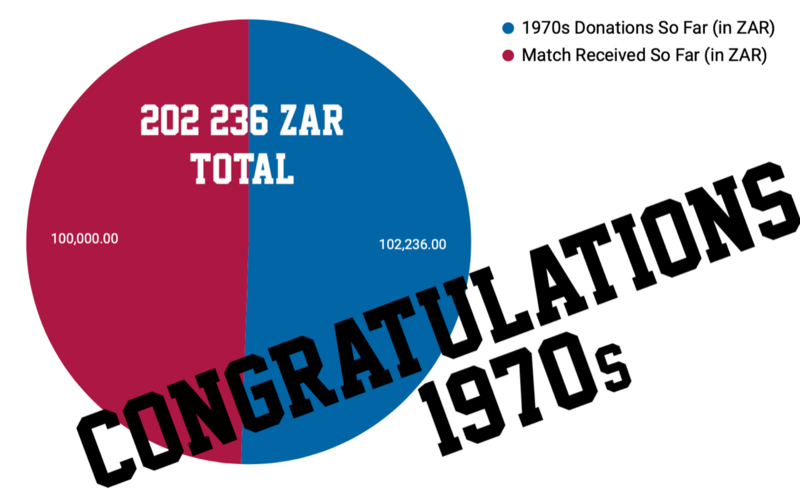 With donations so far this year, the 1970’s is well on its way to unlocking the full ZAR 100 000 match! Keep up the good work, you are almost there!